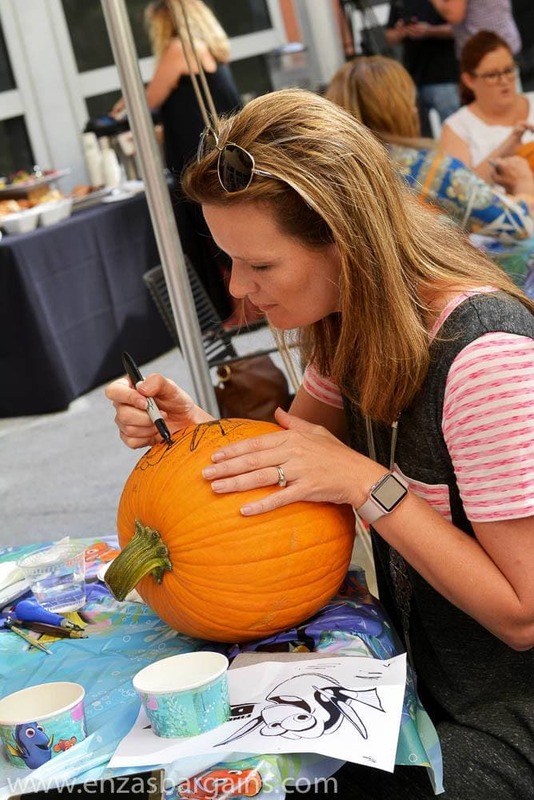 Finding Dory Halloween Activites and Pumpkin Carving Tips from a Pro! 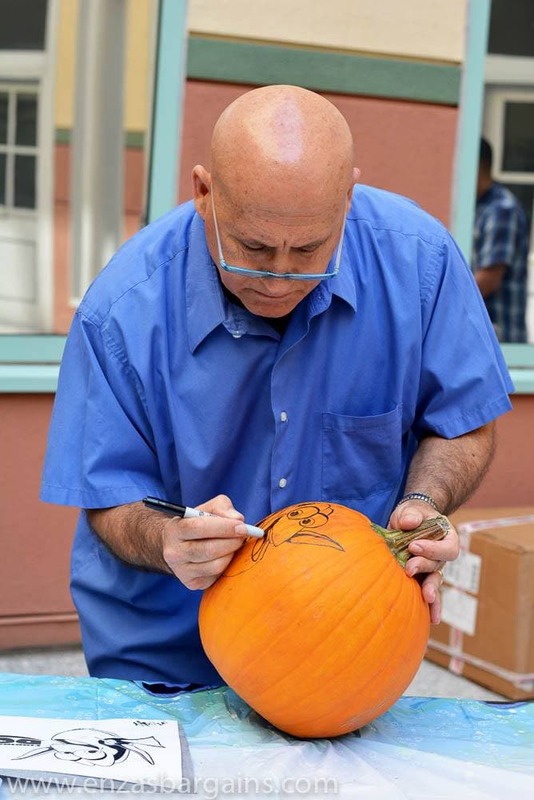 On my trip to LA last week we were treated with a pumpkin carving session with professional Disney Pumpkin Carver, Joseph Yakovetic, to celebrate the release of Finding Dory on DVD and Blu-ray. 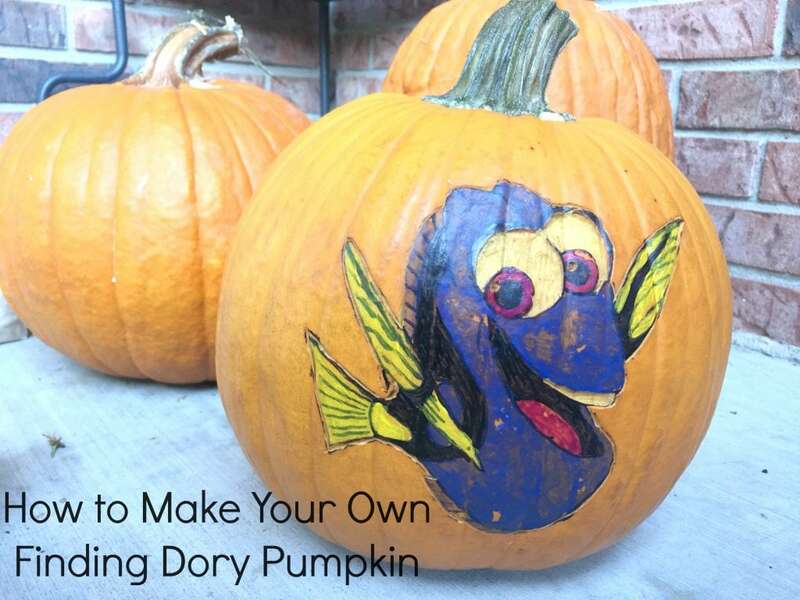 Today I am going to share those tips so you can create your own Dory pumpkin. 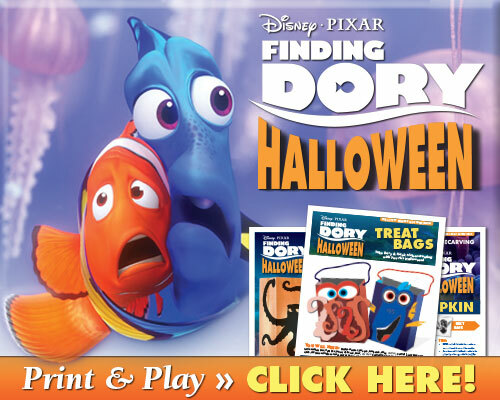 I also have some fun Finding Dory Halloween Activities so be sure to check those out as well. I have always been in awe of the amazing pumpkin carvers that I have seen on television. To be able to create masterpieces out of a pumpkin is amazing to me. 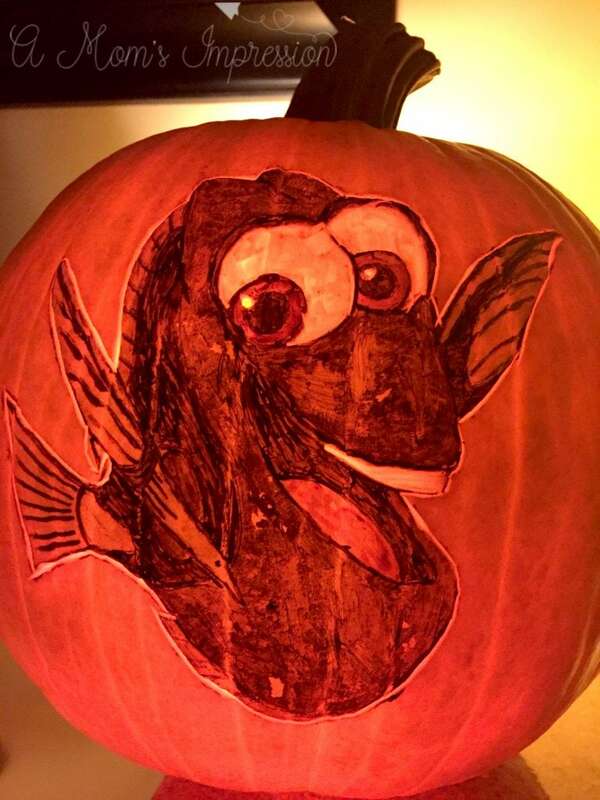 While I knew we weren’t going to get into creating one of those pieces, Joseph Yakovetic showed us how to create a fun Dory pumpkin. If you follow along, I’ll show you how to make one too! Step One: Download the Dory template. You can find it here. 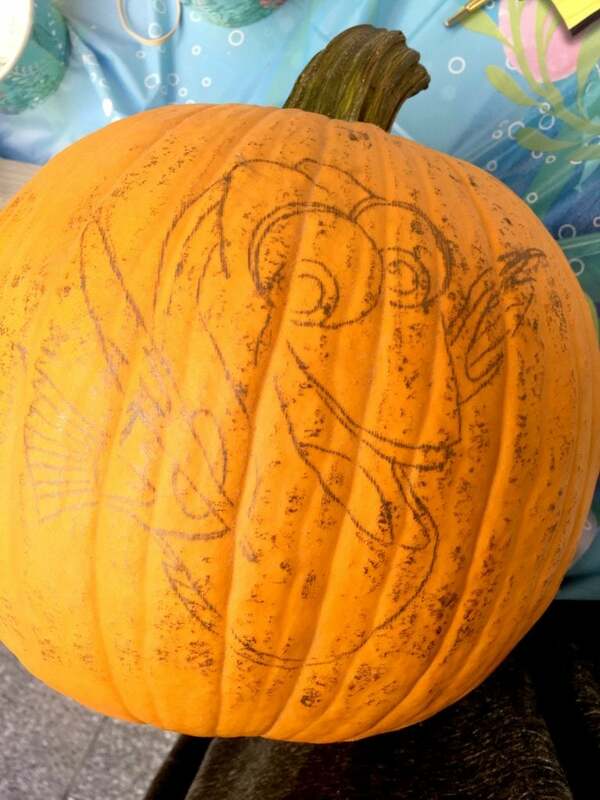 Step Two: Trace your Dory onto your pumpkin with graphite paper. There are other ways you could do this, but this is by far the easiest way to transfer your template onto your pumpkin plus the graphite paper lasts forever! We used push pins to make sure the template didn’t move when we traced it onto the pumpkin. Step 3: Trace over your design with a black Sharpie marker. Make sure you color in all of the black spaces with the marker as well. Using the side of the Sharpie seemed to work the best for me. I had to wipe off my marker several times on the plastic tablecloth to get the wax from the pumpkin off. Be sure to clean off the graphite with a wet wipe before you start the next step. Step 4: Paint your pumpkin. Something new I learn is that if you paint your pumpkin lightly, the colors will show through. The trick here is to make sure you don’t paint on too much or the light won’t go through. Step 5: Trace your lines with a linoleum cutter. This is the step where I finally felt like a professional pumpkin carver. Take your time and push your cutter around the black lines. Anything that you outline will show up when you light up your pumpkin. 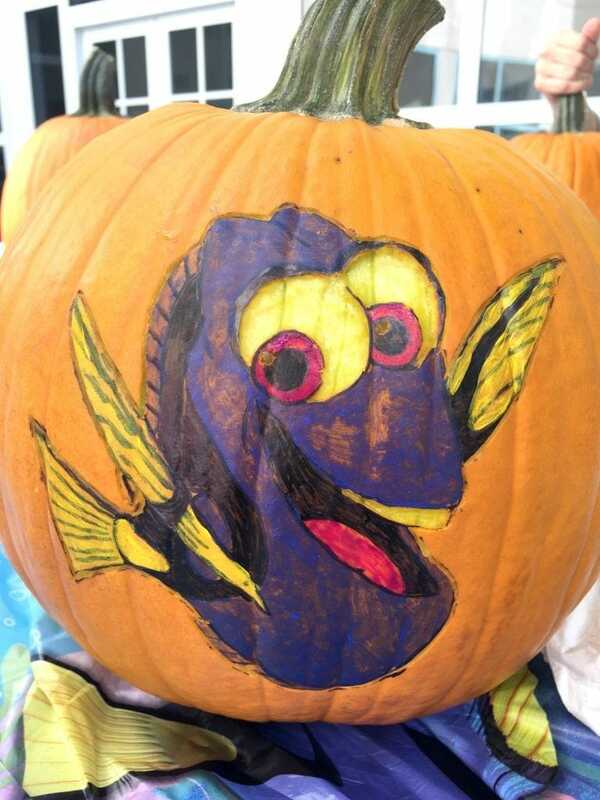 Step 6: Using the rectangular shaped pumpkin carving tool, carve out Dory’s eyes and teeth. 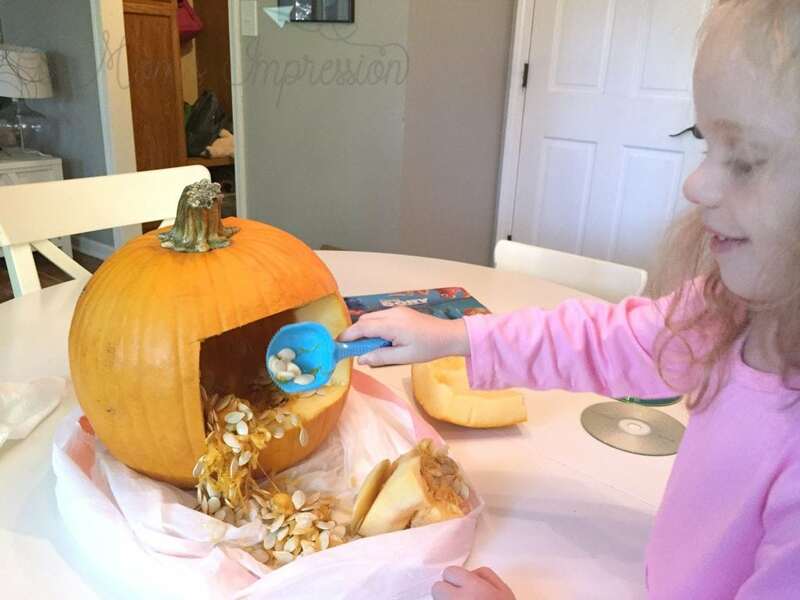 You don’t need to go very deep just take off the outer skin of the pumpkin like in the picture below. I found it easier to start at the edge line of the eye and move my tool forward to the pupil. Step 8: Clean out your pumpkin. Joseph Yakovetic told us to always cut out the back of pumpkin and never the top, this way it will keep fresh longer. This also allows the light to go in easier. Joseph used an old CD to clean and scrape out his pumpkin and it was amazing how well that worked. We used the scraper from the Finding Dory Carving Kit because my little one wanted to. 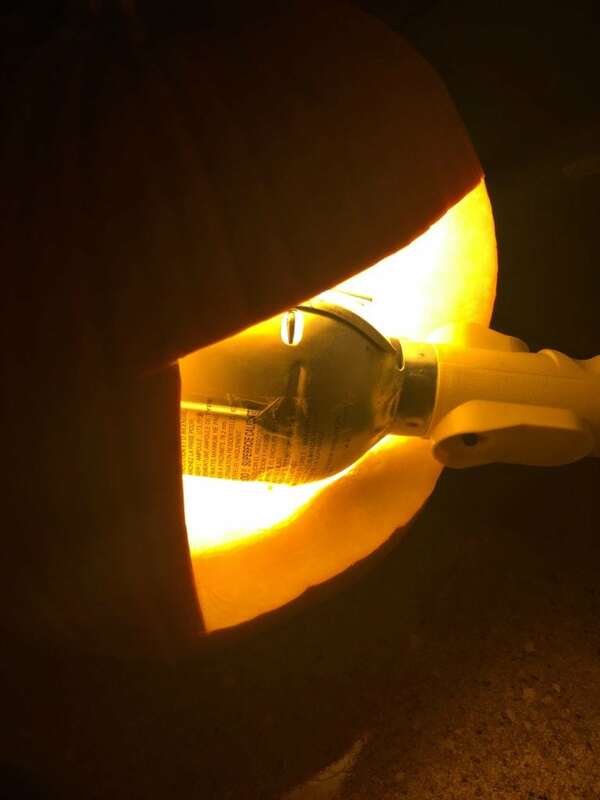 Step 9: Light your pumpkin. Joseph told us that the best way to light a pumpkin is to use a light bulb and not a candle. He showed us how to cut a notch in the back of the pumpkin for the cord and then plug it in and light it up! All I had was one of those work lights that you keep in the garage, but it worked out fine. Just check out the colors that light up when you use a light bulb! It was a huge success! For fun, here is Joseph Yakovetic showing you all the steps in a time-lapse video! Do you love Dory as much as we do? 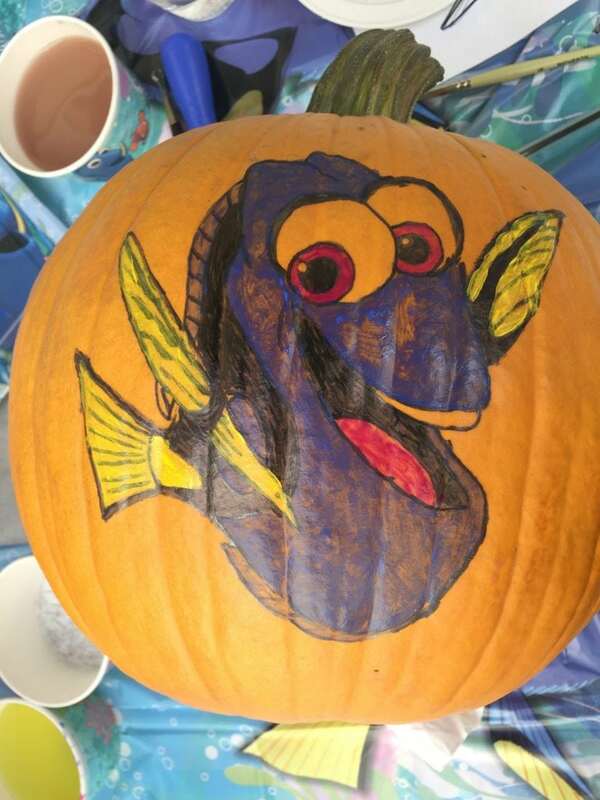 Here are some fun Finding Dory Halloween activities to print off and enjoy including the pumpkin template, just click the image below. Disney•Pixar’s Finding Dory, swims home on Digital HD and Disney Movies Anywhere (DMA) on Oct. 25 and on Blu-ray 3D™, Blu-ray, DVD and On-Demand on Nov. 15. You can preorder yours to be delivered on the release date here! A huge thank you to Disney and Freeform for flying me out to the event in LA last week. I also thank them for putting me up in a hotel and giving me this amazing opportunity. « Ben and Lauren Happily Ever After?